We are looking for individuals to provide transportation for clients to/from medical appointments OR to/from STEP for food shelf appointments. Volunteers who can commit to providing two or more rides per month for at least twelve months is preferred. Volunteer hours are flexible and dependent on client appointment times Most medical rides are within Hennepin County. Last year, STEP Volunteer Drivers provided over a thousand rides to seniors and homebound individuals. This program provides volunteers with a unique opportunity to interact with individuals of varied ages, ethnic backgrounds and abilities. Prospective volunteers must be able to pass a MN BCA background check and MN Driver’s record check, provide their own vehicle and possess a current Driver’s License and Auto Insurance. 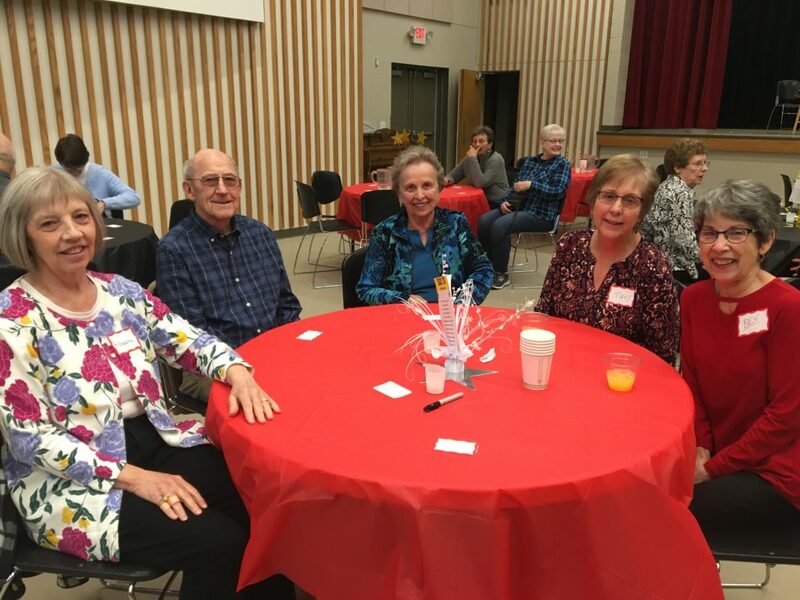 STEP hosted our annual Volunteer Appreciation Dinner for over 100 volunteers and their guests in celebration of Volunteer Appreciation Month. We can’t think of a better way to thank our volunteers than by treating them to dinner and a (silly) show! Special thanks to Westwood Lutheran Church for hosting us and for Ben & Jerry’s for donating ice cream for dessert! 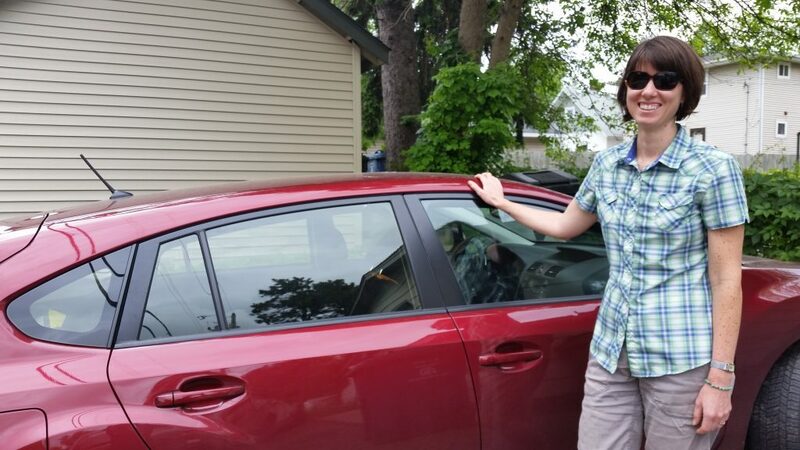 In January of 1994 Julie Lapointe packed up and moved from Iowa to Minnesota with her sights set on graduate school. Needing a job she opened the paper and there she saw a tiny ad, for a temporary social worker. Julie recognized that STEP represented the true values of social work. 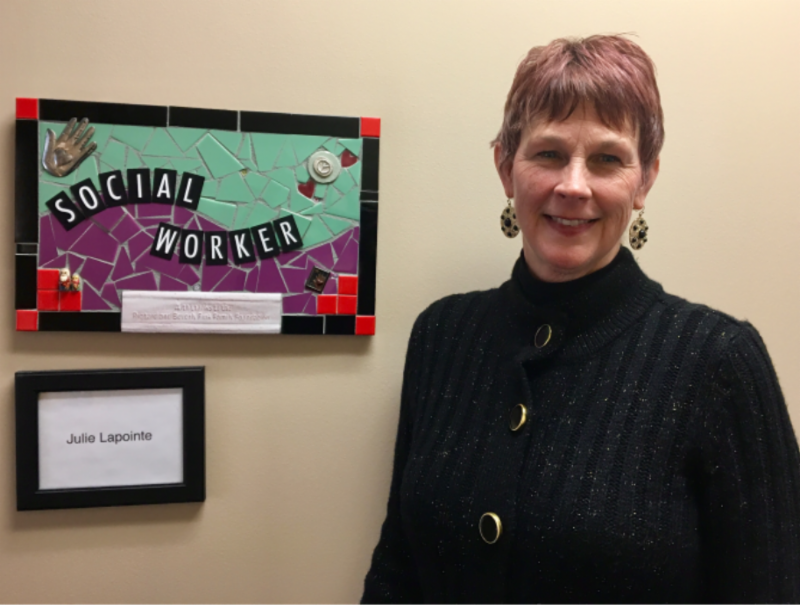 Twenty-five years later, Social Worker and Program Manager Julie continues her work at STEP and has see it transition and grow. She has worked in four different buildings, seen an increase from four staff members to eleven, and played an integral part in developing the programs that STEP offers today. When she is not at STEP, Julie enjoys kickboxing, gardening, and going on garage sale adventures. Thank you Julie for your 25 years of service to STEP and the St. Louis Park community! Our neighbor, sota clothing is partnering with STEP through their 2019 Minnesota Nice Project. For their project last year, sota clothing was able to generate over $15,000 to the researchers at the Masonic Center. We’re excited to see what this year will bring! 1. March food drive at sota clothing – Bring non-perishable food/hygiene items to the drop-off site at sota clothing. 2. 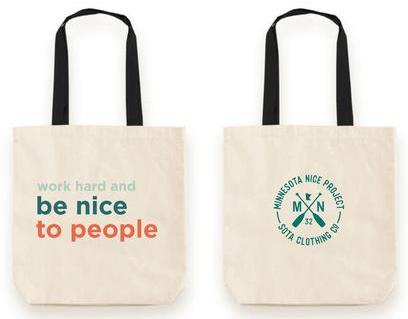 Purchase a MN Nice Tote Bag – all proceeds from the tote go directly to STEP. 3. Visit Omni or Lynlake Brewery and ask for their sota clothing charity craft beer – $1/pint will be donated to the MN Nice Project. 4. Shop sota’s December warehouse sale – 10% of the warehouse sales will be donated to STEP. We thank sota clothing for their support and welcome them to the neighborhood! Jackie received her Bachelor’s in Social Work from Minnesota State University Moorhead. Over the past four years, she has worked to support a better quality of life for the refugee community in Fargo with a focus on unaccompanied minors, elders, and families. Jackie is driven by social justice and advocacy. She strives to meet people where they are at and help provide them with the tools needed to thrive in their community. Jackie is passionate about working with diverse populations and helping others in need. Jackie was drawn to STEP’s underlying purpose of building relationships with clients and helping people feel empowered. Jackie is excited to be at STEP and looks forward to getting to know everyone. Jackie recently adopted two cats named Bellatrix and Luna. She is enjoying being a cat mom, exploring the area to find the best local coffee shops, and hanging out with friends. Jackie hopes to brush up on her Spanish with Spanish speaking clientele as well as learn conversational skills in the other languages spoken by STEP clients. 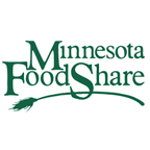 Minnesota FoodShare is a project of Twin Cities faith congregations to stock community food shelves. Since 1983, Minnesota FoodShare has held a March campaign inviting faith communities, businesses, and community organizations to stock the nearly 300 food shelves in Minnesota. In 2017, over $8 million dollars and 4.7 million pounds of food were raised statewide during the March effort. It comes at a crucial time of year, when food donations are low, but the need remains. Faith community “pack the pews” weekend, with empty grocery bags provided to members to fill. Workplace food drive contest. Department or employee with the most items wins a prize. Discount or gift for customers bringing a food or financial donation for STEP. To participate, simply register at mnfoodshare.org/supporter and select STEP under Food Shelf name. We ask that donations be brought to STEP during our regular hours no later than Friday, April 5. Contact Mari-Claire with any questions at mari@stepslp.org or 952-925-4899 x1800. STEP now has a new Development Director! Below she shares a little about herself and why she’s happy to be at STEP. My name is Faith Mainor and I am the new Development Director for STEP. I am so excited to be at STEP and back in Minnesota where I grew up. 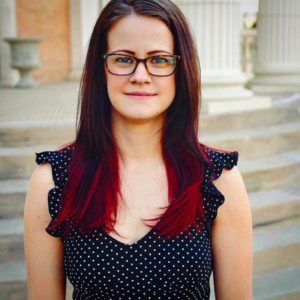 I am originally from Eden Prairie, I moved to Denver in 2007 to attend college and start my career in the nonprofit sector. I have recently relocated back to Minneapolis to accept the position here at STEP and start a family with my husband Ben. I’ve had a passion for the nonprofit sector since I was young, and my parents introduced me volunteering. After I graduated from high school I took a year off and traveled to Kenya to work in a children’s orphanage. It was a life changing experience and I realized that I wanted to spend my career working in the nonprofit sector. When I returned home I moved to Denver to start school. Over the years I have worked in many different positions throughout the nonprofit sector which has only enforced my passion for nonprofit work. When I saw the job posting for a development director at STEP I knew I wanted the job and applied right away. 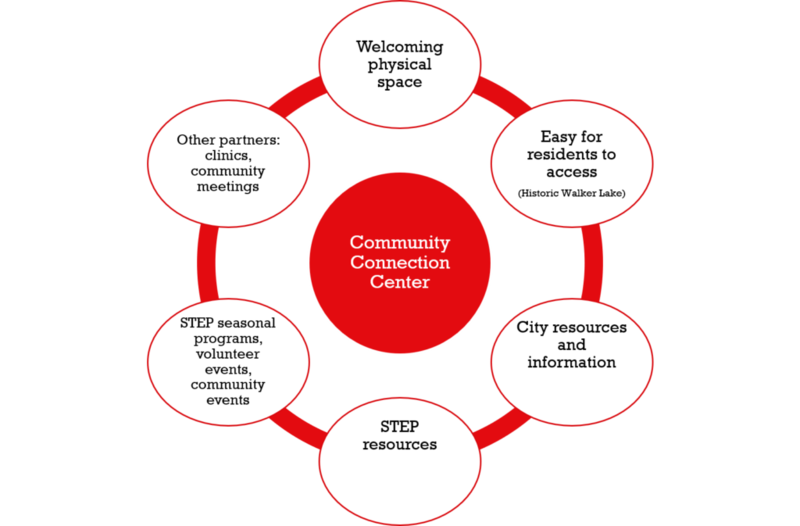 I was drawn to STEP’s mission and the overwhelming support STEP receives from the community in donations and volunteer time. I’m very happy to be here and I look forward to meeting all of you in the coming months. STEP’s remodeling project is virtually done! Worn out carpet was replace with carpet tiles in the hallway and brand-new modern flooring was installed in the community room. 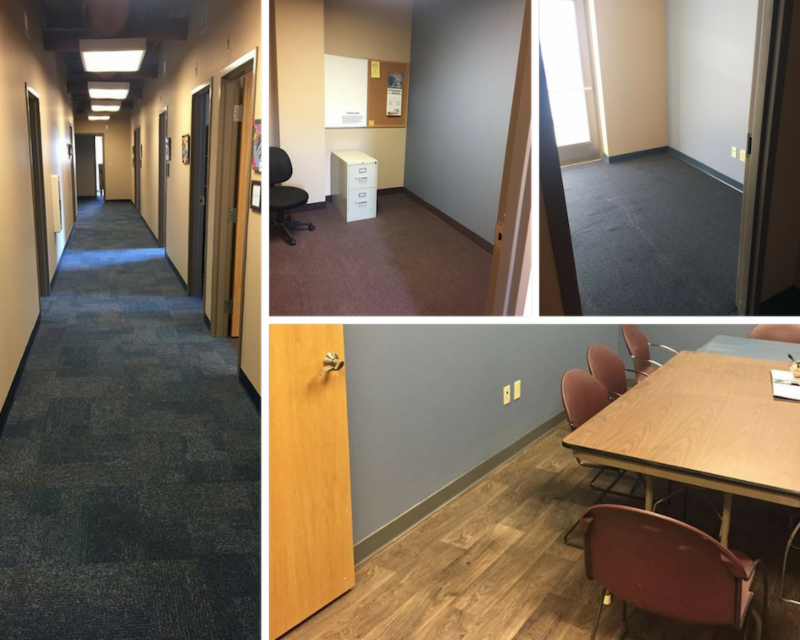 We now have three additional work spaces including an office for the newly created Development Director position and social work intern/volunteer office! We are grateful for all who supported STEP in this exciting process! Costs were contained by donations of time and/or materials from the following supporters: Carl Robertson, Ungerman Inc., Shaughnessy Flooring, Brian Hayes, and Electrical Design & Engineering. We’ve received a 4 star rating from Charity Navigator! This means we’re accountable, transparent, and financially healthy! Check out our Charity Navigator profile to learn more!